In August of 1896, at Pugadlawin, Kalookan, Bonifacio gathered his men and fearlessly urged them to tear up their cedulas as a symbilic gesture of their defiance of Spanish rule. Thus began, the Philippine Revolution against Spain. A difficult childhood gave Andres the strenght to face all odds with great courage and determination. He was the eldest of six children of Catalina de Castro and Santiago Bonifacio. At the age of fourteen, Andres was orphaned and had to taken on the task of caring for his younger brothers and sisters. To do this, he had to quit school and look for ways of supporting his family. Together, they made rattan canes and colorful fans from Japanese paper. Even if he stopped going to school, Bonifacio continued reading the novels of Rizal and Dumas; he also read about international law and French Revolution. In later years, he too began to write about what the Filipino should know to appreciate the desire and the need to be free. During his late teens, Andres was able to work as a clerk, then as a sales agent. later on, he became a warehouseman in Tondo. Bonifacio and Jose Rizal were both members of La Liga Filipina, a movement working peacfully for reforms in the Philippines. However, the two national heroes never knew each other personally. When Rizal was arrested in 1892, Bonifacio realized that Spain would never grant the requested reforms. So, on the night of July 7, 1892, Bonifacio, Valentine Diaz, Deodato Arellano (brother in-law of Marcelo H. del Pilar), Teodoro Plata (Andres' brother in-law), Ladislao Diwa, and a few others secretly met in a house along Azcarraga Street (now Claro M. Recto Street) near Candelaria Street (now Elcano Street). On that night, the Katipunan was formed. The members formalized their membership by signing the pact with their own blood. In 1895, Bonifacio became the Supremo, or leader. In the same year the Katipunan was founded, Bonifacio married Gregoria de Jesus, who chose Lakambini or muse as her codename in the Katipunan. She took charge of the confidential files, revolvers, seals, and other materials of the society. On August 23, 1896, the katipuneros gathered secretly at the farm of Juan A. Ramos, son of Mechora Aquino, at Pugadlawin in Kalookan. The Spaniards had gotten wind of the Katipunan and deciphered its secret codes. The katipuneros are now fugitives and in great danger. Together, the katipuneros agreed to fight to the death for their cause. "Bring out your cedulas and tear them to pieces to symbolize our determination to take up arms," Bonifacio challenged his members. The katipuneros tore up their cedulas and shouted, "Long live the Philippines." The cry at Pugadlawin signaled the start of the Philippine Revolution. The inital plan to attack Manila did not push through due to lack of arms. Instead Bonifacio, Emilio Jacinto, and some others attacked the Spanish arsenal at San Juan del Monte. Bonifacio failed to anticipate the possible arrival of the Spanish reinforcement troops, who caused the Filipino's defeat. Bonifacio and his men retreated with heavy casualties. Bonifacio's life as a militant katipunero ended on Mount Hulog, a mountain in Maragondon, Cavite. Bonifacio and his younger brother Procopio were accused by the Spaniards of rebellion and were sentenced to die. On May 10, 1897, Mariano Noriel handed a sealed envelope to Lazaro Makapagal and instructed him to take the two Bonifacio brothers to Mount Taal. Once there Bonifacio requested Makapagal to open the envelope. In it was the order to execute both brothers. Makapagal had no recouse but to follow the command, lest he be punished severely. In doing so, he executed the Filipino who sprearheaded the Philippine Revolution against Spain. NOV. 30 in the church calendar is the feast of Saint Andrew the apostle. If you look at those old-fashioned calendars printed on newsprint with blue and red ink, the ones that even have the phases of the moon above the dates, you will find Spanish names of saints for every day. On Nov. 30, 1896 the stork brought a baby boy to Santiago Bonifacio and Catalina de Castro, they looked at the saint of the day on their calendar and named him Andres. We celebrate Bonifacio Day every year on Nov. 30, a date that is sometimes confused with National Heroes Day. If my faulty memory serves me right there was once a move to contract our list of national holidays, and one of the casualties was Bonifacio Day that was renamed National Heroes Day. Naturally, the move was perceived by some as an official downgrading of Bonifacio by making him share the limelight with all national heroes. That has since been settled when National Heroes Day was set on the last Sunday of August. 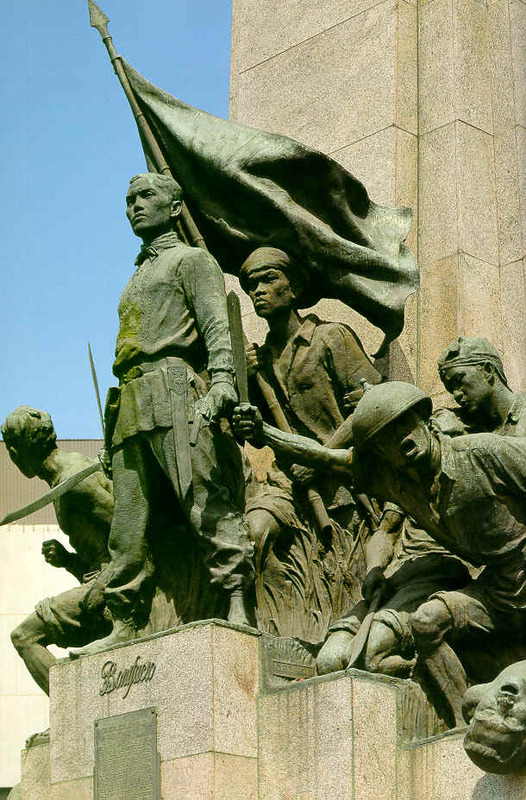 Now Andres Bonifacio rightly has a national holiday all to himself on Nov. 30. Bonifacio Day is also odd, because heroes -- like saints -- are often remembered more for their death than their birth. Rizal's birthday, June 19, is a holiday in Laguna province, and the date of his execution, Dec. 30, is a national holiday known as Rizal Day. Anyone who knows Philippine history will understand why Bonifacio is remembered on his birthday, Nov. 30, rather than the date of his death, May 10, 1897. Unlike Rizal who was executed by the enemy, and other heroes who died in battle, Bonifacio was executed by fellow Filipinos. The circumstances surrounding the death of Bonifacio have been debated for decades, and it remains unsolved, a skeleton in our closet. One would hope that more material on Bonifacio would come to light, but then we know of him mainly from the accounts of people who knew him. Unlike other heroes like Rizal, Emilio Aguinaldo, Apolinario Mabini, etc., he left very little of his own writings, making the task of the historian difficult. To prepare for Bonifacio Day I went over the various printed memoirs that have references to the Supremo of the Katipunan. These were Artemio Ricarte, Santiago Alvarez, Telesforo Canseco, Emilio Aguinaldo, Carlos Ronquillo, etc. It was very difficult to piece together a composite picture, so I decided to share something by Pio Valenzuela, who was interrogated by the Spanish authorities from September to October 1896. Part of Valenzuela's testimony states that Bonifacio "frequently said that the president of the French Republic was once a blacksmith, giving his hearers to understand that, although he is only a porter, he might one day rise in like manner to that position in the Philippines." Valenzuela adds, "Andres Bonifacio had read a great deal and had a library that was destroyed at the time his house burned down. He was accustomed to pass the night reading. There happened to him what had happened to Don Quixote -- his head was turned and he was always dreaming of the presidency and speaking of the French Revolution." I have always been fascinated by the books our heroes read and the partial list of books in Bonifacio's library included the following: "Lives of the Presidents of the United States"; "History of the French Revolution" (two volumes); "La Solidaridad" (three volumes); "Noli Me Tangere"; "El Filibusterismo"; "International Law"; "Civil Code"; "Penal Code"; "Ruins of Palmyra"; "Religion within the Reach of All"; "The Bible" (five volumes); "Les Misrables" by Victor Hugo; and "The Wandering Jew" by Eugene Sue. Valenzuela supplied that list. He also said Bonifacio's modest library also included law books owned by Emilio Jacinto who was a law student, and medical books owned by Valenzuela. It is significant that Bonifacio's books were mostly novels, particularly Alexandre Dumas the father and Alexandre Dumas the son. Bonifacio personally owned the above books: "French revolution," "El filibusterismo," "Les Miserables," "Ruins of Palmyra," and "Wandering Jew. These are presented as the intellectual seeds of the Philippine revolution. Frankly, I tried, and failed, to read "Ruins of Palmyra" and "Wandering Jew. These two novels were also read by Rizal and supposedly influenced the "Noli" and "Fili." They may have been popular in the late 19th-century Philippines but to me they were absolutely boring. I have always maintained that to get into the mind of our heroes and to understand them we should read the books they read. Maybe I will read "Ruins" and "Wandering Jew" next Lent for mortification. Valenzuela describes Bonifacio as "very astute and intelligent and speaks Tagalog very well, and those who are not personally acquainted with him would never suppose he had been a warehouse porter. He is also a good letter-writer, adept in the falsification of signatures and seals. He has spies in his employ of all the religious corporations and in the offices of the government, in the Intendencia General and the buildings in the convents, in the Maestranza de Artilleria, in the printing establishments, and in the Masonic lodges. He possesses a great hold over the lower and more ignorant class of people and the witness believed that to this is due the present armed rebellion." I am still so far off from producing my composite picture of Bonifacio, but I'd like to think that by remembering him I would get closer to knowing him and understanding our history.